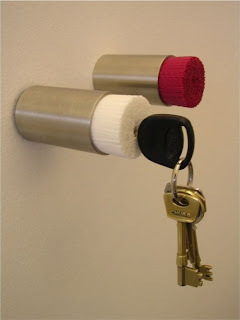 LEGO key rack, made of real LEGO bricks for authenticity. 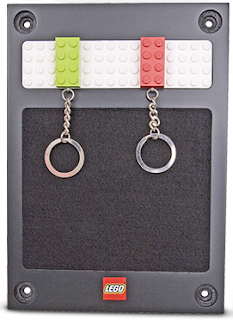 The LEGO key rings snap right onto the rack. 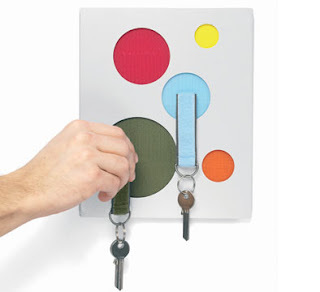 Clote Velcro Key Holder – comes with five color-coordinated key chains.